Throughout 2018, the real estate market was in active progress about buyers as well as sellers. Despite the fact that the property market has seen frauds/scams and scandals this year, the market has proved to be the most profitable investment sector in 2018 following the record of past three decades. The healthy returns along with low tax and estimations attracted a significant portion of the investment. Few areas from almost every province of Pakistan has seen massive growth in 2018. There was a tough competition amongst developers in Quetta, Karachi, Lahore, Faisalabad, Islamabad and several other areas of Pakistan. Developers were constantly looking for suitable construction sites in order to attract investors. If we break the market situation in four quarters of 2018, the market was booming in the first quarter. This indicates that the situation was quite favourable for investors in the beginning. However, the market has seen few corrections in the 2nd quarter. Particularly, the Bahria Town scandal. This scandal caused many people to lose their investments and shattered the investors’ trust. The property bubble formed in 2015 and 2016 raised the prices of certain areas even more than their actual worth. Like any other asset, property prices also need to be corrected to reach their genuine assessment. This settlement of prices is a very healthy sign for the real estate market. It essentially indicates that the market will be going to boom in the coming years as the economic stability sets in the country. Overall, the progress in the developed sectors reflects that the market is not very slow but rational. At the beginning of the 3rd quarter, the real estate sector has seen an expected post-election potential. The market progressed slowly. The presence of genuine buyers kept the market active up to an extent in the third quarter. 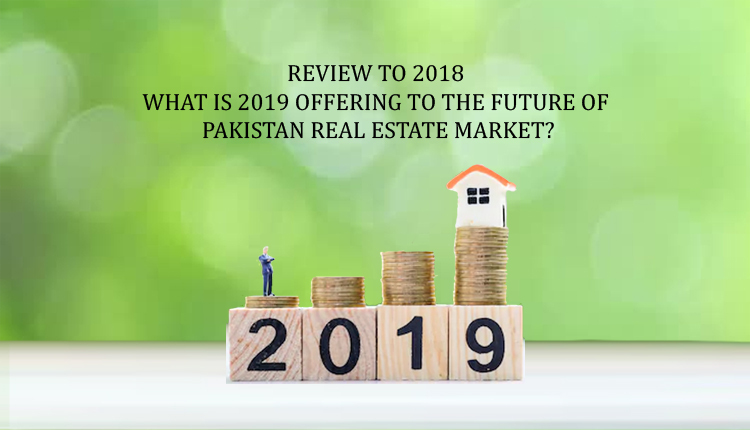 Despite the fact that the overall market of Pakistan had shown almost consistent behaviour during the third quarter, the Karachi’s real estate market saw a declining graph. The prices of plots as well as houses fell down and kept on making a downward trajectory. The real estate market of the country got crashed in the last quarter of the year. The restrictions on non-filer and new tax reforms collapsed the real estate market of Pakistan, particularly that of Karachi. Digging down deeper to area wise performance, we can say that 2018 has been a tremendous year for Gulshan-e-Maymar as well as scheme 33. After the accretion in the prices of Scheme 33, Gulshan-e-Maymar has become the heaven for the real estate builders in the third quarter. The key reason behind is the economical rates of commercial plots. As a result, many builders announced their projects in Gulshan-e-Maymar. DHA city was also satisfactory while Bahria Town is still in hot water as they are still facing legal proceedings. We also discussed the entry of the new project Malir Development Authority (MDA) Scheme I. We still believe that the hype regarding this project after the third quarter of the year has been artificially created. We see 2019 as the stable year in terms of the real estate market. There will be several opportunities all over the country particularly in Karachi. However, we aren’t expecting any major bubbles in the coming year and the market will be rational. We are naming these societies on the basis of our parameters regarding merit, safety, minimum risk and maximum profits. Apart from, residential and commercial opportunities, 2019 will also follow the farmhouses trend. Nowadays, people tend to avail advanced opportunities with a touch of nature. Therefore, they prefer to purchase land to construct a farmhouse. This trend allows builders to offer the houses that are full of nature with the blend of modern facilities. The demand for this may be low, but at the same time, property prices are also low. Therefore, there is a solid chance of a perfect deal for nature lovers to fulfil their farmhouse dream. Moreover, the already-collapsed property trend due to the government’s policy of imposing taxes and restrictions will not stay for too long. Ultimately people will find alternative solutions to utilize the opportunities present after the crash of the property market. The real estate market will see endless housing and residential opportunities but developers should consider the trend of all-in-one opportunities such as walled societies with a commercial facility. The reasonable price with attractive lifestyle will be the key for developers to flourish in 2019. The overall real estate market will be rational in terms of constructions and decisions. However, we predict the stable market for 2019.